I love me some illegal street racing. And, I especially love me street racing between cars and motorcycles particularly if there is a beater bomb racer or two involved. The Wednesday Night Cruises in Omaha have such racing. 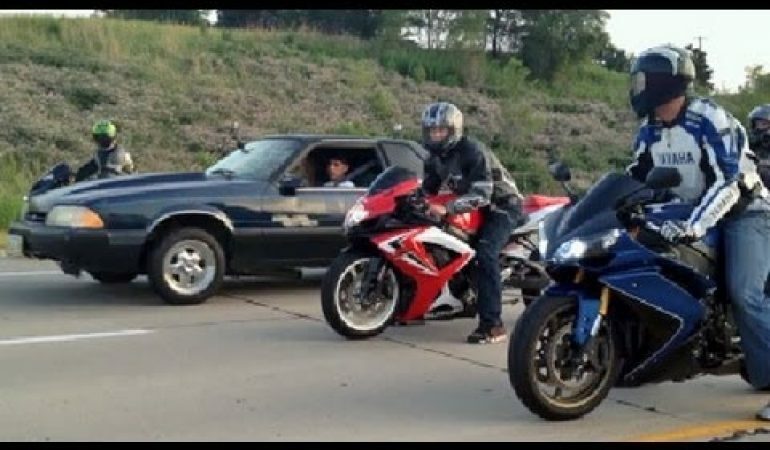 Click play and watch a Beater Bomb 5.3L 500HP Fox street race a ZX10R and then later have illegal street racing going on that involved a GSXR600 and more. Oh, and please do not forget that the police show up and chase a few racers here and there. Jet Kart Had An Easy Day Against a Ferrari!